We all like our coffee in the morning, and each of us has a favorite recipe. However, you may change things here, because we are about to give you a nice trick that will make your coffee super tasty and healthy. It is a coffee creamer that will take your cup of coffee to a higher level, and it will also do good to your metabolism. How to make your very own coconut oil coffee creamer? Adjust the ingredients in this recipe to your delicate taste. For instance, cut back honey or do not add it at all if you prefer your coffee slightly bitter. Combine all the ingredients in a container and stir well until you get a homogenous texture. 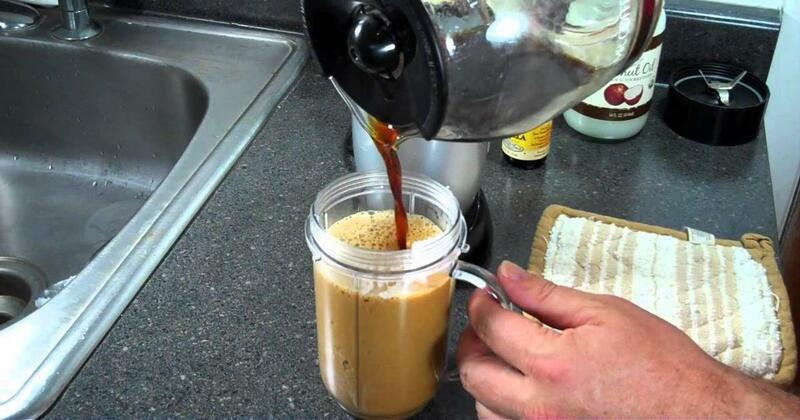 Transfer your coffee creamer in a jar. How can you use your coconut oil coffee creamer? Brew your coffee as you usually do. Add in a tablespoon or two of your coconut oil coffee creamer while your coffee is still hot. Next, blend your coffee on high for about 5 seconds and your super-tasty coffee is ready! What is so great about this coffee creamer? Coconut oil is packed with medium-chain fatty acids. Other oils contain long-chain fats. Once they enter the body, medium-chain fats are used as an instant source of energy. This gives your metabolism a healthy support and boosts its function. A particular study has shown that 1-2 tablespoons of medium-chain fatty acids a day have the ability to increase energy expenditure by 5%. This equals 120 calories per day in an average individual. When it comes to medium-chain fats, coconut oil is the most delicious option, right?